“The Dutton Girl” by Stan Freeman is a historical mystery set in New York City at the beginning of the 20th Century. Detective John Nolan is an Irish immigrant who works for his cousin, a crooked ex-policeman turned private investigator. The two are hired to investigate the kidnapping of a wealthy young lady, Sarah Dutton. Detective Nolan must dig through family secrets, a dishonest police force and the notorious Italian gang, The Black Hand, to find out what happened to Sarah Dutton. While the majority of the story focuses on Detective Nolan trying to find the missing girl and her kidnappers, we do get to see his relationship with Sheenagh, his Irish girlfriend. The two correspond through letters and we see how they are working together to save money to start their new life in New York. It is through these letters that we hear about the beginnings of World War I and how the Germans were targeting British ships with their submarines. The couple closely follows the war in Europe as it also determines when Sheenagh can make the voyage across the ocean. This novel is not only a good mystery, but also gives you a glimpse of what life was like at the turn of the century for Irish immigrants in New York City. The discrimination they faced and the shortage of jobs that were available for them upon arrival. In addition to describing the hardships many immigrants faced, the story hints at the corruption that was evident in the police force and how the city tried to rid the force of corruption. We learn how the early years of World War I were affecting Europeans, while the Americans were doing their best to stay neutral in the war. The author does a fantastic job at intertwining historical facts though this story. 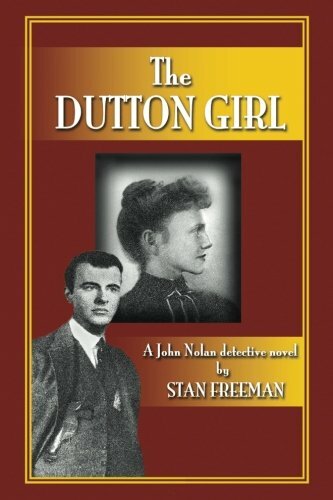 “The Dutton Girl” by Stan Freeman is a good read for any reader who is wanting a classic Whodunit. The story progresses at a steady pace, giving just the right amount of clues and action to keep you entertained. The storyline is interesting and believable and makes you want a “happily ever after” ending for all the characters. I found myself wondering what would happen next and was eager to find time to read to see where this investigation would lead.